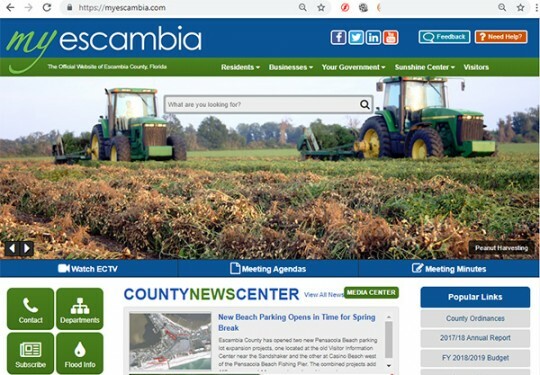 The Escambia County Commission this week will vote on a proposed settlement with a man that filed a federal suit claiming the county website is inaccessible to blind and visually impaired individuals. 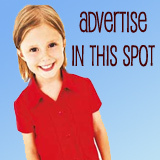 Walter Joseph Beckman claimed the website at www.myescambia.com is in violation of Title II of the Americans With Disabilities Act. Title II of the ADA prohibits local governments from excluding qualified individuals with a disability from participation in or the benefits from services, programs or activities of the local government. A recent decision of the U.S. District Court, Southern District of Florida, has held that the obligations imposed on local governments under Title II are different that those imposed on private or commercial entities under Title III where access to public accommodations is accomplished through their websites. The proposed settlement under consideration includes payment of $13,800 for attorney’s fees and costs, and $1,000 for alleged damages to Beckman. In addition, the settlement agreement gives the county until the end of the year to make the website accessible to blind and visually impaired individuals subsequent to December 31, 2019. The Escambia County website is produced in-house. Someone needs to sue the Navy base for not making the lighthouse handicapped accessible. How is a paralyzed person supposed to climb the 180 steps to the platform? the old forts are also impossible to maneuver in a wheelchair. The whole world has gone crazy – zero common sense left!!! I sure hope none of you folks raising Cain about this ever have to deal with the limitations of a disability and the things we able-bodied people take for granted. Escambia County knew they had to make arrangements for disabled citizens and they dropped the ball. Screen readers are available for every web browser I can think of, either built-in or easily obtained as an extension or plugin…So just because it didn’t have one embedded in the website Escambia must settle? Outrageous. Notice who is making the money here? It’s a big Attorney scam! “$13,800 for attorney’s fees and costs, and $1,000 for alleged damages to Beckman”. The next thingyou know they will be suing McDonald’s drive-thru for not having a braille menu. I wonder if the county used a 3rd party consultant when planning to develop the website. If they did, does the county have a case to go after that consultant for not providing them with the right information?? Total irresponsibility on the county’s part. Should know that a website must be ADA compatible. Hold someone responsible. And fire someone. Website should be professional…it is also hard to navigate for sighted people. Near impossible to find anything. Just wondering if the county was contacted about the problem first or the lawyer? Did he contact the lawyer or did the lawyer contact him? If a letter was sent to the county attorney how much does that cost? Paper,ink, and a $300 stamp? Sure hope the blind man doesn’t let lawyer count his money for him. That’s one for you and $14000 for me. Mr. Beckman was awarded $1,000 in damages? What damages to be exact? That is pretty much a slap in the face considering the lawyers made out with almost $14,000. I gotta know…how do the blind use a website, im genuinely curious how you make something that is visual…usable by someone who cannot see.